First, the democratic FUN committee met in a giant meeting (because meetings are fun) and determined this situation is currently very un-fun. It’s time to instill some immediate fun into the situation. 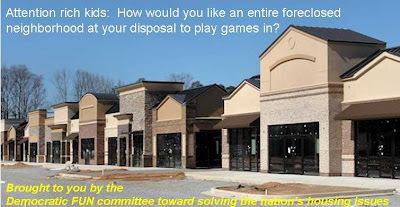 Beginning immediately after taking office, they will institute weekly fun tours of the suburbs by allowing rich families access to all the foreclosure houses so they can play elaborate real life roll playing games like Apocalypse. For the more festive, there will be participation staged games of “I am Legend” where for a ridiculously high fee that is no problem for the very rich to afford you can play the last normal person on the planet and drive around with no cars anywhere and raid homes and fight zombies. While making money toward sustaining the jobs of those working to make all this happen it will also help the rich to understand the suburbs a little bit better than what their PR firms are telling them. But all this fun and amusement is only a temporary solution. 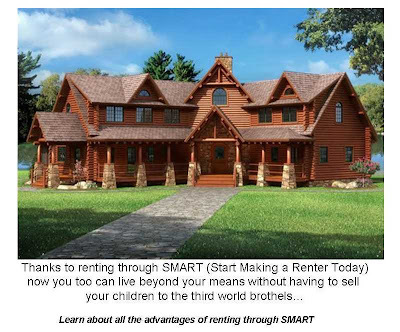 By taking a current popular program SMART and cleverly reusing it to mean “Start Making a Renter Today” they will institute a rental program allowing normal people to live in and rent the houses they couldn’t afford to buy in the first place. I want in on this action! Please take my house away and let me become a renter! Where is the house that houses your mind? I would like personal trip into it! Does it come furnished? I hope so. You are so hilarious! Where do you come up with this stuff? 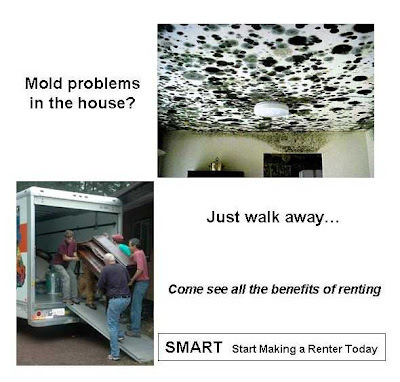 Hey... renting is a SMART idea for a lot of people. If the banks hadn't been so greedy in giving out loans people couldn't afford in the first place, we would have a lot more renters today and a lot less of a financial crisis. Well, whatta ya know... that wasn't funny at all. Most of continental Europe just rent - it seems US and UK and Ireland have this ridiculous urge to get on the property ladder. Look where that got them! 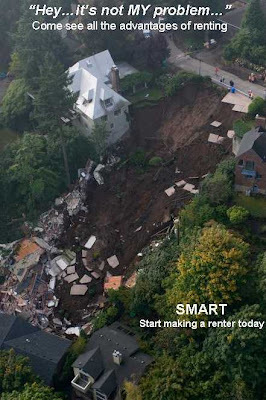 Judging from the photos I see every day of the damage done to foreclosed properties, I think this is already happening! I've always been a renter. It's the only way to go. 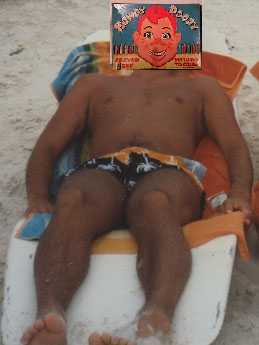 marie - Can I borrow 100 million to campaign? quickroute - You know...I rented for two years before I got married and built a home and it was quite liberating actually. I was able to travel more because I didn't have all these home projects and extra costs. Ok, the equity I made off my last home was nice but it does feel overrated. megan - Those naughty rich kids. Playing the game early...sheesh! kurt - In the city you live in...is there really a choice? Holy hell! Hey, is Neverland up for rental? Can I get a zombie gig with the rich folks? That sounds like fun! We're celebrating that we just paid off our house! I guess it's time to buy another and rent it out! 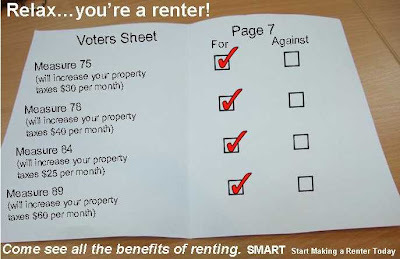 teri - Yes...renters are people too! I hope no one in Washington reads this. It reads too much like a government program. I Stumbloed it for ya. 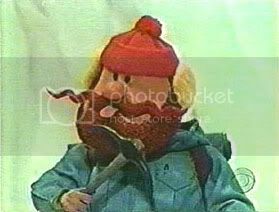 dan - I think they're mulling it over right now! ha ha Thanks! who knew I'd be so happy to be a renter! I'm ahead of the SMART game. Woot! angie - Ditch it quick before a rich kid trashes it. Oh, and zombies never pick up after themselves either! serena - It's a foolproof plan! II - Makes the whole voting process much easier! Precisely, what are your plans for Dr. House? I've had dreams of renting a house since our 12 year old craphole of a home has continued disintegrating around us and we have no hope of affording to fix everything. The homes in my neighborhood were built solely to keep Lowe's and Home Depot in business. It's no coincidence that we have THREE hardware stores at the end of the subdivision. Gah... I hate renting. We just paid off our house too. I would rather own than rent. You make it look all so appealing.